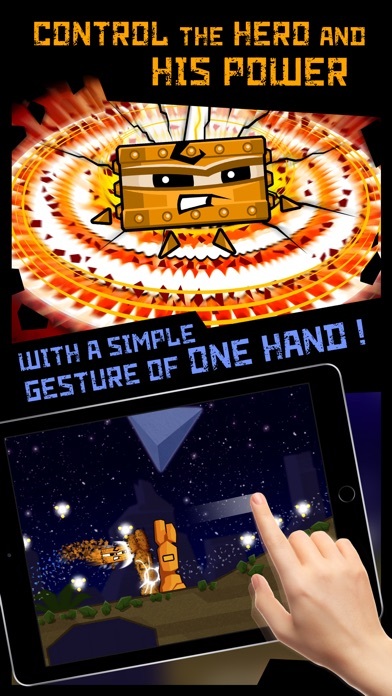 [prMac.com] Dublin, Ireland - Leading mobile game developer, DP Space LP, has announced game-changing updates to its hugely popular App, Crazy Shapes: Run Adventure, introducing new features and an improved gaming experience. Launched in 2017, Crazy Shapes: Run Adventure is a fun, complex and massively addictive running game. An intriguing and complex background story adds depth and interest to this fast paced game whereby players are tasked with controlling their hero, Cuebit, as he faces a number of obstacles on his way to activate the portal. Initial features include the ability to change into other characters according to requirements, the collection of solar rewards, the use of power-ups and the chance to earn rewards at every level! A free platform game for every age, Crazy Shapes: Run Adventure challenges players to use their skill and coordination to jump over obstacles and change shapes in order to control movement and achieve the ultimate goal of activating every portal through a number of levels in order to defeat the enemy. * A redesign of the control system of the game - updates to the control system means that users can now more easily control their character using just one hand for added convenience and comfort. * New features - New obstacles have been added and, existing obstacles within the game have been refined and redefined adding new depth and challenge to the game. * New processing of system boosters - additional boosters have been added to increase the game's excitement. * Magnet - allows you to collect solars throughout the level in the range of the booster, and not just those that directly "hurt" the character. Solars are attracted automatically to the hero throughout the level. * Shield - gives protection to the player from all obstacles and enemies but this booster works only 2 times during the level. * Slowdown - slows down the time when approaching the obstacle, if the hero had an activiviron character that does not match this obstacle, thus giving the player time to decide and select the right character before the hero comes into contact with the obstacle. Also all boosters work throughout the level, you select them at the beginning, and then they operate the entire level. Also all boosters can be used together - that is, you can choose everything at once for any level and pass the level much more fun and exciting (to add all boosters, you need to open additional cells). Boosters open during the game and are not immediately available. Improved Training-Detailed tutorial for beginners to start playing the game easily. 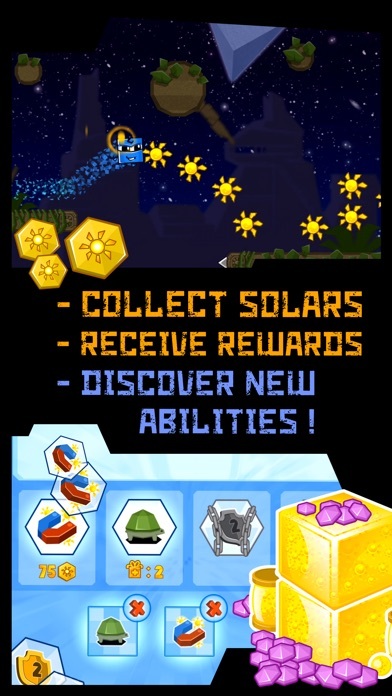 Developers added the possibility of resurrection on levels - for this you need either to look at the advertisement, or to spend a small amount of Solars, also redesigned the menu - adding the selection of boosters before the levels, added animated tutorials and how to do it. Other developmental changes include a number of bug fixes and an improved user interface. The technical director, Denis Podolyak says "We get feedback from the players and continue to work on improving the gameplay, graphics and other important components of the game, so that players continue to enjoy the game." 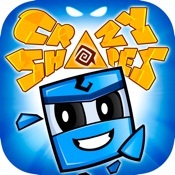 Crazy Shapes 1.1.4 is currently available for Free with in-app purchases on the App Store in the Games category. Denis Podolyak, the Technical Director (CTO) of DP SPACE LP has been developing mobile applications and websites since 2011 and they were great success too. He did educational, play and commercial projects on the territory of Russia and the CIS. Denis is one of the key person behind the game "Crazy Shapes: Run Adventure." All Material and Software (C) Copyright 2017 DP SPACE LP. All Rights Reserved. Apple, the Apple logo, iPhone, iPod and iPad are registered trademarks of Apple Inc. in the U.S. and/or other countries. Other trademarks and registered trademarks may be the property of their respective owners.